For most college-bound students who are United States citizens, answering questions about citizenship on your college application is fairly simple. But for students at Hawaiʻi Community College or HCC in Hilo, Hawaiʻi, checking that box was a big deal. 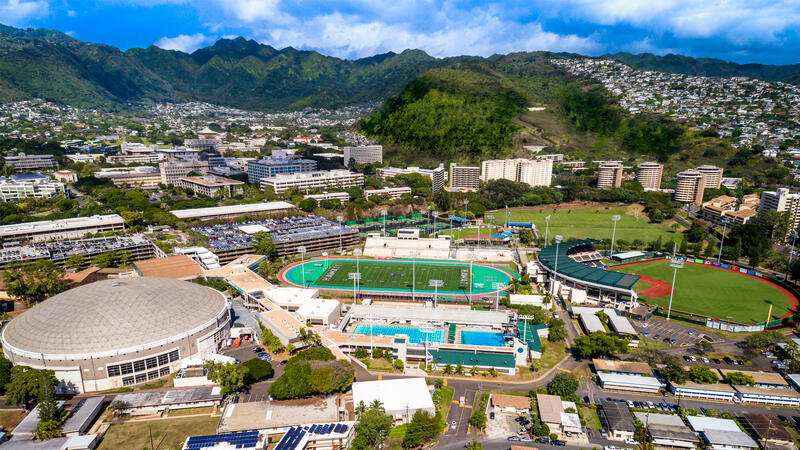 Aerial of University of Hawai'i at Manoa Campus. “They didn’t feel comfortable registering for school and having to check the American citizenship box, says Ku’ulei Kanahele, a Hawaiian language instructor at HCC. She also sits on the Pūkoʻa Council, a University of Hawaiʻi system-wide organization promoting access and success for Native Hawaiian students. 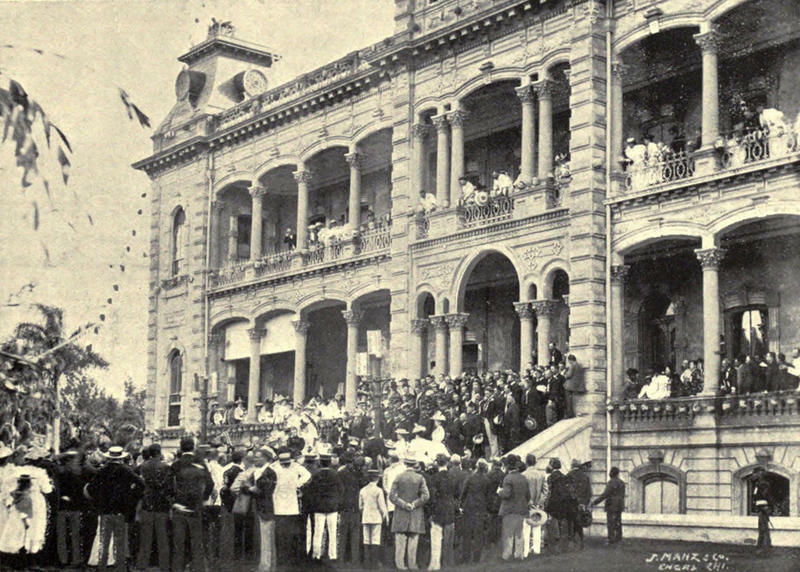 Raising American Flag at United States Annexation Ceremony at ʻIolani Palace, Honolulu, Hawaii. The American marines performing the ceremony are from the USS Philadelphia. See, for many native Hawaiians, American colonization began with the overthrow of the Hawaiian Kingdom in 1893. Since then, the indigenous people of the Hawaiian Islands have struggled with a loss of land, language, and a sense of what it means to be a native Hawaiian. “For some students I think it’s continuing to allow America to hold that dominance over their identity,” says Kanahele. Hilo students made their case and their cause made its way up the chain of command in the UH system. Partner Akiona, a Hawaiian Studies major in his second year at Kapiʻolani Community College in Kaimukī learned about the form at the beginning of his Fall semester. Partner Akiona (standing) discusses the Declaration of Affiliation form with his classmates at Kapi'olani Community College. “When I saw the form at KCC, I talked to students at UH Manoa, and students at UH Manoa had no idea this form existed,” says Akiona. According to UH spokesman Dan Meizenzahl, the form was first made available in May of this year to all students in the UH system, upon request. So far, 17 students have declared their affiliation to the Hawaiian Kingdom. But there is some concern that such an affiliation could be met with political retribution particularly when it comes to financial aid. “Because for a lot of our native Hawaiian students, they need the scholarship to go to school,” says Kanahele. Meizenzahl confirmed this form does not equate to any declaration of citizenship, which would relegate students to “international student” status and have an impact on financial aid. Instead is simply a form of expression. Akiona is currently working on his form. 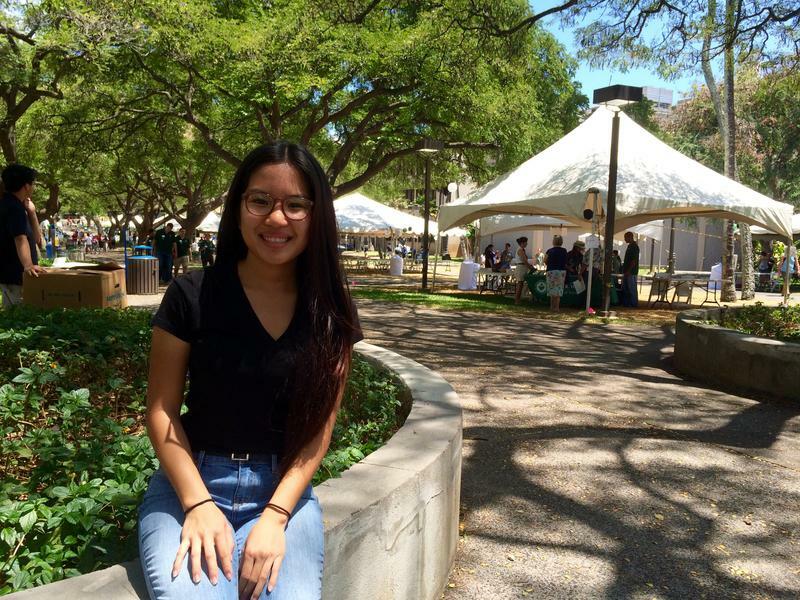 “I know a lot of people within the UH system are not much aware of it much less the weight that it holds for students as well as institutions but overall, as of right now, I believe it’s a good thing, it’s a step in the right direction,” says Akiona. A step in the direction of lending further credibility to the restoration of the Hawaiian Kingdom, which for some native Hawaiians was never relinquished. 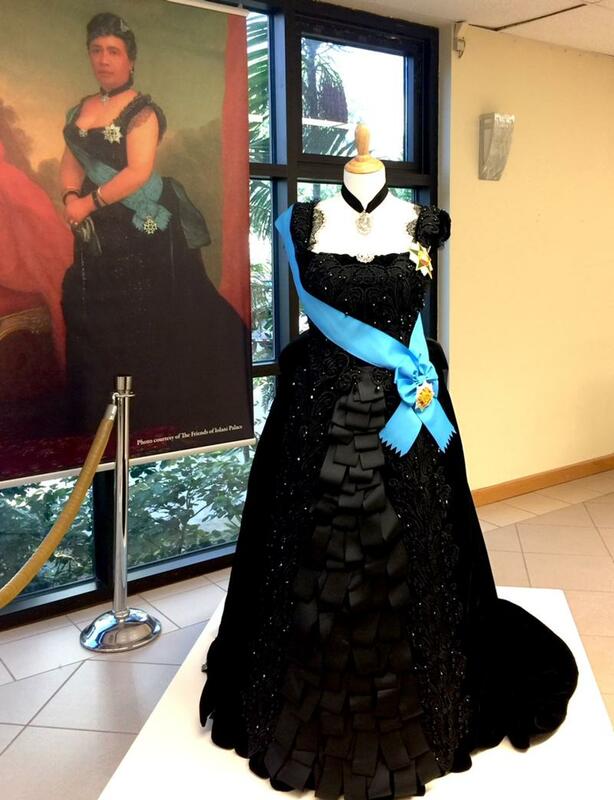 The Hawai‘i State Archives is joining the centennial commemoration of Queen Lili‘uokalani’s death with a unique viewing of Kingdom era flags, and, next week, an open house. HPR’s Noe Tanigawa reports a more complete picture is emerging of Hawai‘i’s last queen. Hawaiian History Comes Alive in "Theft of a Nation"
Fourth of July festivities are set for tomorrow across the island chain to celebrate America’s 242nd birthday. 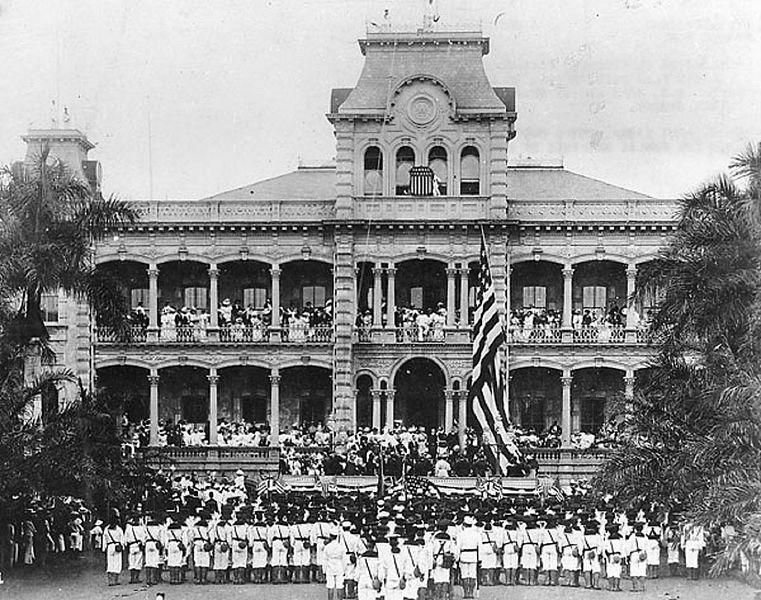 On the grounds of the ‘Iolani Palace in Honolulu, one group is commemorating another July Fourth with a dramatic re-enactment of an event in Hawaiian history that took place a little more than a century ago. HPR’s Kuʻuwehi Hiraishi has this story. First we'll cover some local science and tech stories, first we'll speak with Franklin Allaire about the upcoming Science Olympiad. Then well have Ken Hensarling join us from Hawaiian Telcom to tell us about the annual HT University. Finally, we'll learn about the 20th anniversary of Teaching, Colleges and Community, an online conference about education technology from its organizers, Bert Kimura and Curtis Ho.